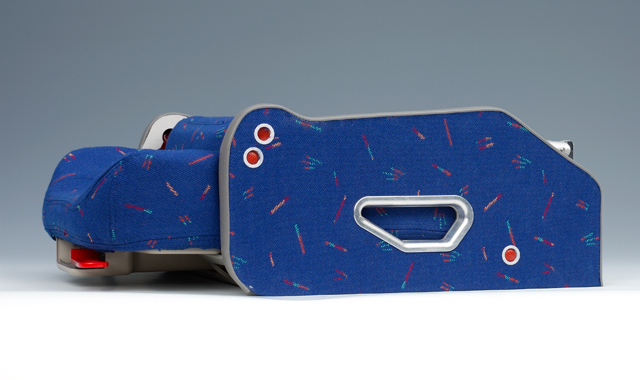 Passenger Compartment - innovints Webseite! 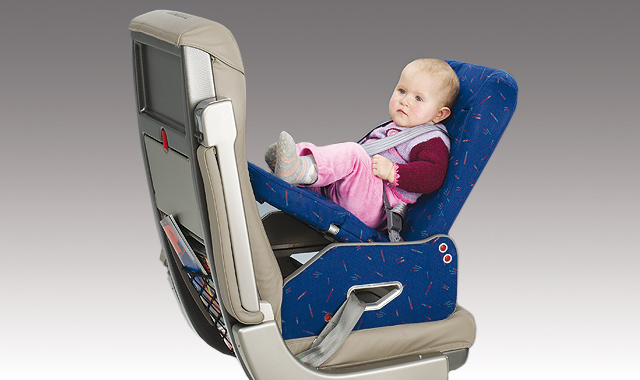 In accordance with general transport regulations babies weighting up to 10 kg must be secured facing against the flight direction. 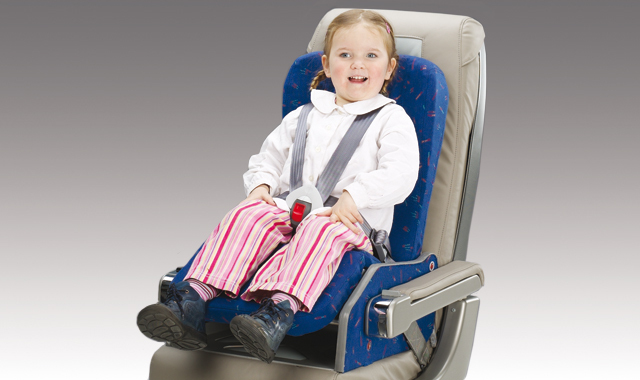 Children up to 25 kg are secured facing the flight direction. Fastening is similar to that found in a car by means of a 5-point-harness, within seconds a baby seat can be transformed into a child's seat. The installation of the Baby Bassinet is very easy. 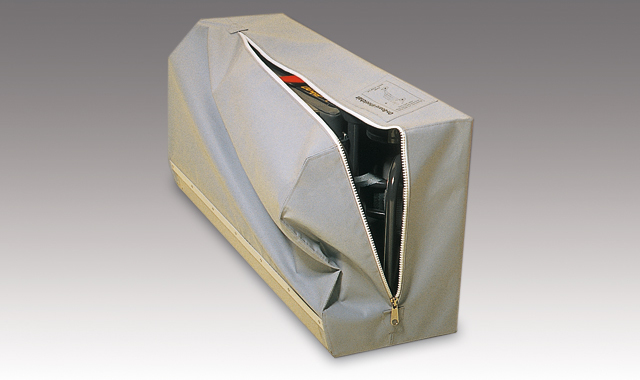 Designed as a "clip-on" unit using two quick release pins which ensure proper locking to the bulkheads, lavatory and galley walls. The installation fittings can be retrofitted without special tools and are available for various wall thickness. 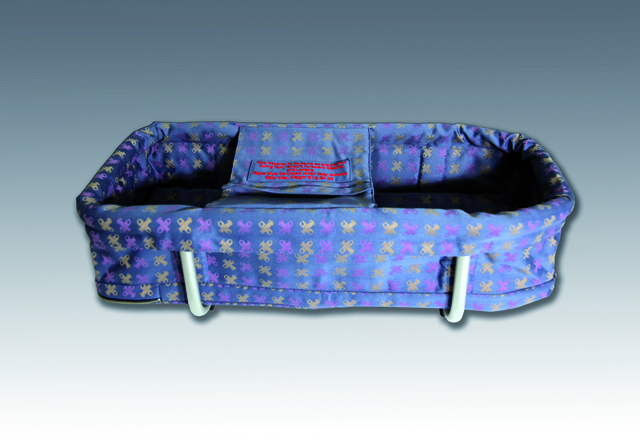 When not in use the bassinet can be folded to a minimum size and stored in stowage's or hatracks. 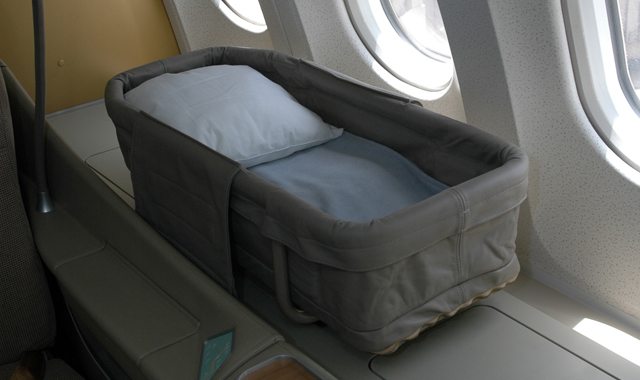 The redesigned Baby Bassinet is the perfect bed for a baby when you are travelling with the aircraft. 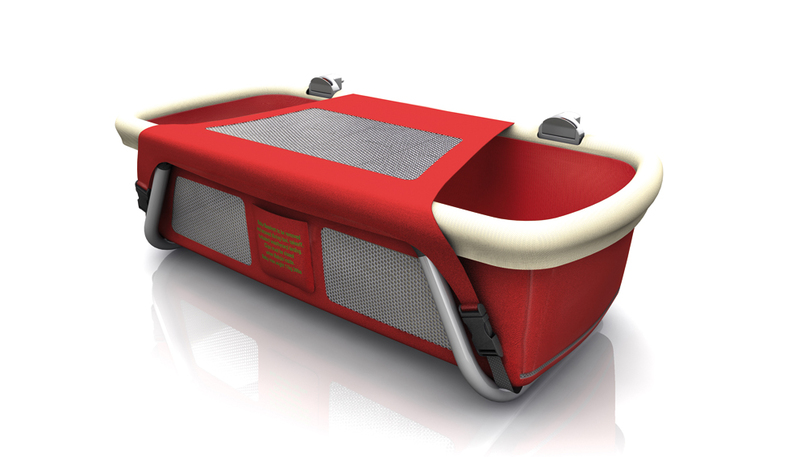 Its size makes baby feel secure and comfortable, and it is light and portable enough to carry to any stowage in the aircraft. 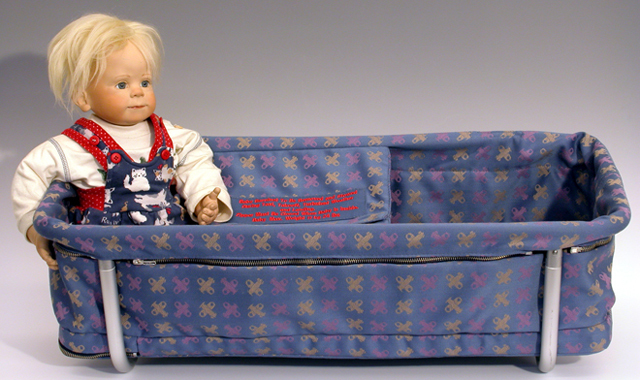 The Baby Bassinet is easy to fold- unfold, and easily installed at cabin furnishings. The unique handling makes is easy for the daily crew operation. 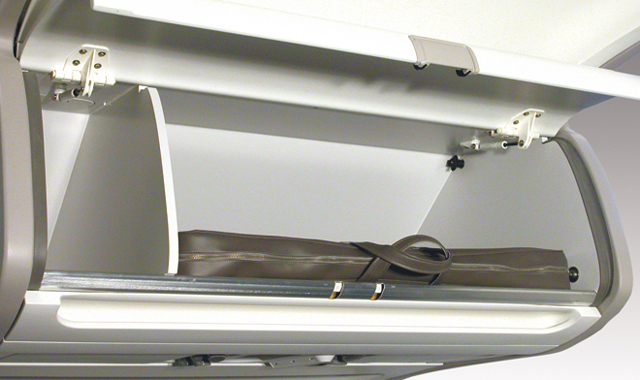 The top mounted baby bassinet perfectly extends INNOVINT‘s baby bassinet portfolio in addition to the wall mounted baby bassinets 7250-series. 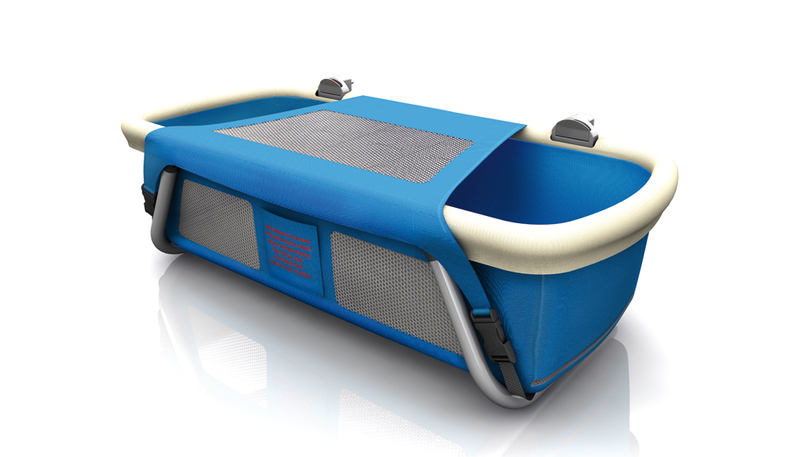 Providing also excellent comfort the top mounted baby bassinet presents substantial progress by using obvious unused cabin space for installation (e.g. 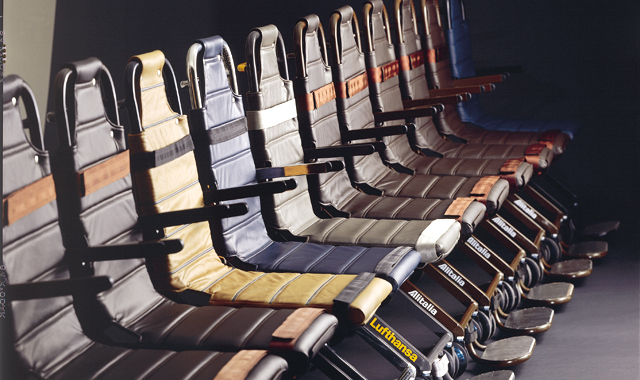 seat shells of first and business class seats). 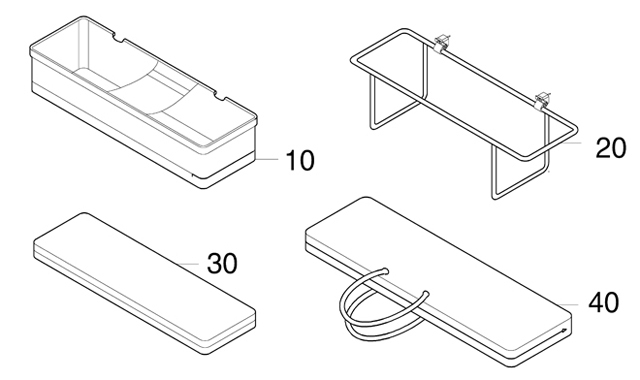 Designed as a »clip-on« unit using two quick release pip pins which ensure proper locking to the monument. 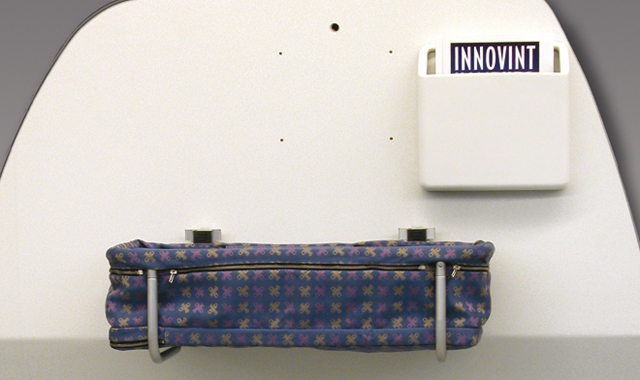 The installation fittings can be retrofitted without special tools and are available for various wall thicknesses. 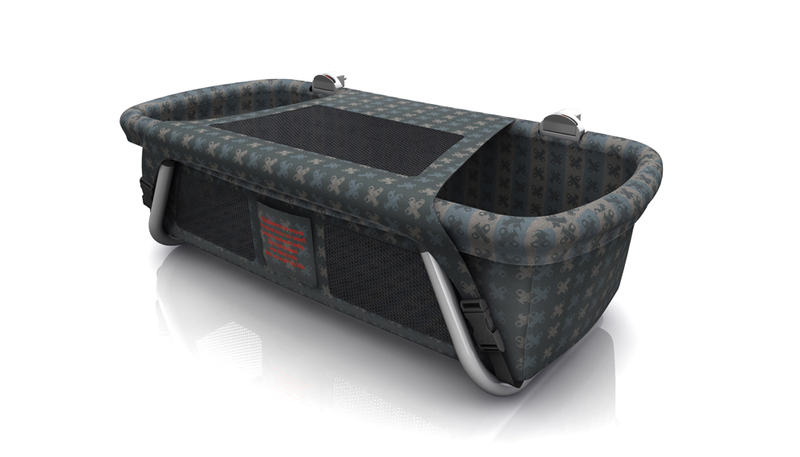 The 3 pin mounted Innnovint Baby Bassinet is the perfect bed for a baby when you are travelling with the aircraft. 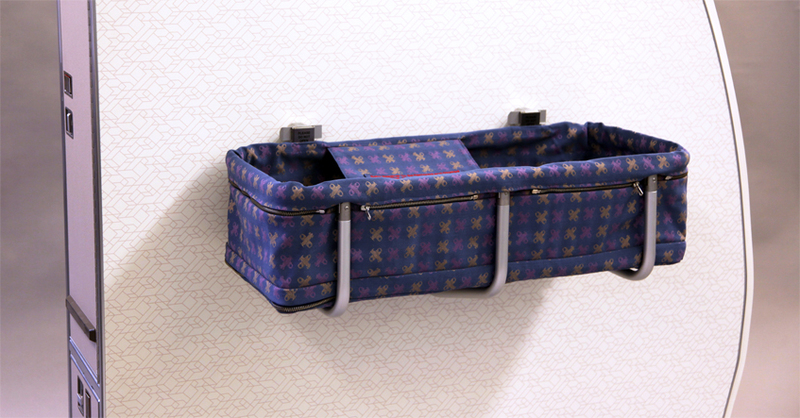 Its size makes baby feel secure and comfortable, and it is light and portable enough to carry to any stowage in the aircraft. 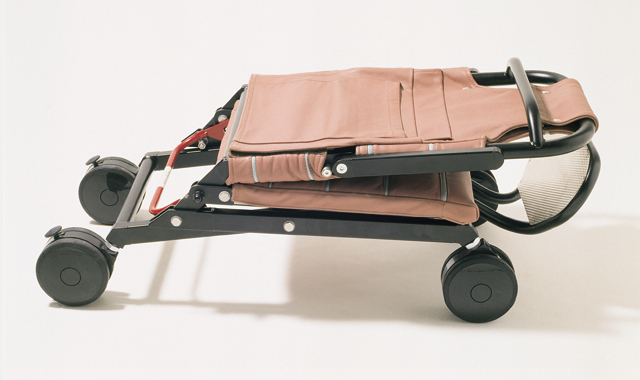 The baby Bassinet is easy to fold- unfold, and easily installed at cabin furnishings. The unique handling makes it easy for the daily crew operation. Light-weight 12 kg / 25 lbs. 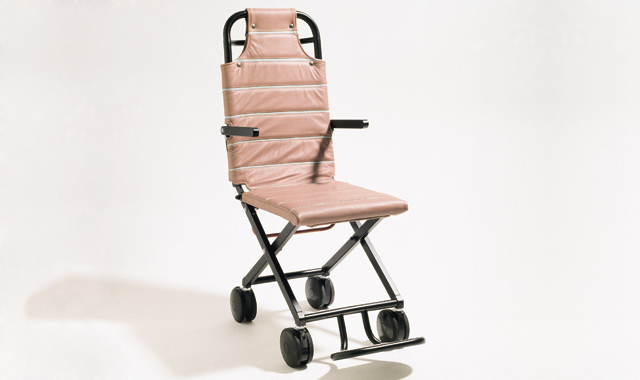 The On-Board Wheelchair 2218-series sets the airliner standard for the transport of disabled passengers. Light-weight design, durability, safety, appereance, and ease of operation for the cabin crew are just some of the highlights of this design.